It’s beginning to look a lot like…time to sign up for Spring courses! 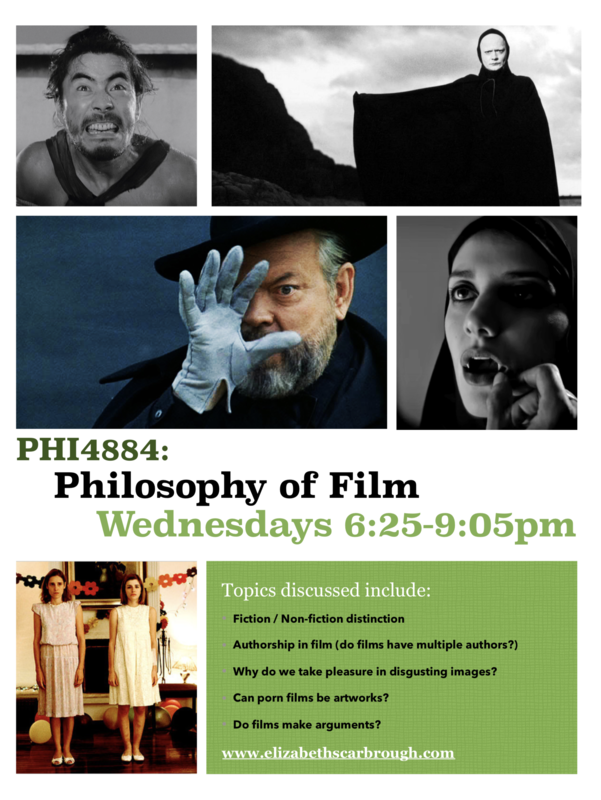 Since starting my career at FIU, I’ve been teaching Philosophy of Film every spring. It is probably my favorite class to teach. I get to introduce students to some of my favorite films and learn theirs. For those of you who don’t know, my first career was in TV production, at Henninger Media. I know a bit about TV and Film production from that time in my life (and from making student films in college). One of my favorite memories from college is hiding out in our library during closing time (literally hiding) so we could use the Steenbeck and edit our films all night! I’ve also spent a fair amount of time working at art house cinemas (as a manager and as a 35mm projectionist). I miss my West Coast cinemas (The Grand Illusion in Seattle and The Clinton Street Theater in Portland) – so teaching this film course is the next best thing! Here’s the flyer for the course. The images are taken from movies we will be watching for the course. Art Basel (or Art Week) is almost here…and while it might seem like traffic-fueled insanity, it is worth checking out. We are incredibly lucky to be living in a city with such a thriving art scene. Basel, unfortunately, sometimes feels like it is more about the money and less about the art. Well, we don’t have to make that mistake! Art Basel itself is specifically the event held at the Miami Beach convention center. It is the “Basel” in Art Basel. The convention center is huge and it is impossible to see everything in a day. It is also overrun with people. AND it is expensive (for a discount, buy your ticket ONLINE ahead of time). That said, it is still worth checking out. 200+ of the top galleries bring their wares to sell at this convention. These galleries usually have tons of art and they have to curate a small selection of what they have to bring to Miami Beach. What they decide to bring is telling – it will show you the (projected) direction of the art market. Art Basel is all about money – go into it with that attitude. I enjoy walking up and down the stalls, seeing pieces of artist I love (e.g., Brancusi, Gerhart Richter) and then asking the gallerists there how much the paintings/sculptures/photographs/installations sell for. It’s fun to guess ahead of time. A posthumous recasting of a bronze Brancusi? $1 million or 5? You can download the Art Basel app for more information. Art Basel – Day ticket $50 (if purchased online, $60 door). Students can purchase onsite tickets with student ID for $45 (and they WILL check your student ID, so don’t forget it!) Design Miami/ is right across the street from Art Basel and you can purchase combo tickets for both. Below are some suggestions for things to check out this Art Basel 2018. Those in BOLD are FREE! RAW POP UP – DEC 6-9 ($16-$1,000 tix – 20% ticket discount with STUFFTODOINMIAMITIX code). 21+, late night. NADA Miami, Dec 6-9, $20 (New Art Dealers Alliance) not-for-profit! Here are some FREE events during Art Week! Forbes even has a guide! This semester my aesthetics class visited FIU’s Frost Museum. We were lucky enough to have Emily Afre to show us around. Emily is the Frost museum’s education specialist and I’m so pleased that she took the time out to answer a few questions about her job, the Frost, and the art scene in Miami! How did you get involved in museum work? I took a course called Aesthetics & Values in 2017 with the Honors College at FIU. The class involved visiting museums and galleries in Miami, some of which I had never visited before. Our final project was to curate an exhibition of local contemporary artists to be on view at the Patricia & Phillip Frost Art Museum. I worked with artist, Felicia Chizuko Carlisle who created a sculpture she used in a live experimental sound performance the night of the opening. As a member of the Exhibitions Committee, we worked closely with the artists and installation, and provided tours of the exhibition during the opening. I was interested in becoming more involved and began an internship at the museum, where I currently work full-time. What art do you recommend in Miami right now (besides exhibits at the Frost)? Our neighboring museums and galleries always have something to offer year-round. Miami Art Week is Dec 4-9. Aside from Art Basel, there are several satellite fairs, alternative art shows and independent music concerts and live performances. What do you wish students knew about the Frost that they don’t currently know? The Patricia & Phillip Frost Art Museum offers free admission to everyone, you don’t just have to be an FIU student. The Frost Art Museum always has programs and events throughout the semester, sometimes featuring artists, scholars, and professionals of all disciplines. Students are also welcomed to experiment with their artistic skills in our MakerSPACE. The Frost Art Museum is also a great place to study! What do you think the most rewarding part of your job is? My role at the museum involves a direct relationship with FIU and the community. The most rewarding part of my job is engaging with students of all ages on tours and seeing the larger connections they create. How does philosophy connect with your work? Sometimes, we tend to forget that there is a person behind the artwork – the product is the result of one’s psychology and the creative tendencies of the mind. It may be seen as the interpretation of the way an individual understands themselves and the space around them. There are so many questions you can ask when thinking about the nature of art. What and who dictates art as “good” or “bad?” How does art connect to others and how does this change over time? To what extent does the relationship to the human condition deem art successful or effective? What was your favorite exhibit at the Frost so far? Hands down, Rafael Soriano: Artist as Mystic. This was a retrospective of Cuban painter, Rafael Soriano. The exhibition spanned works from early geometric abstraction to biomorphic and surrealistic abstractions. His later work following the 1980s, involve themes of psychoanalysis, introspection, the metaphysical, and the unknown. Although he primarily used oil paint, which is heavy and opaque, he is known for achieving extraordinary luminosity in his works. You can find images here. 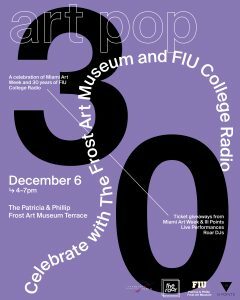 Currently, the Frost is collaborating with The Roar Miami, FIU’s student-run radio station on Art Pop! This event is scheduled to take place Thursday, December 6 from 4:00 p.m. – 7:00 p.m. on the PPFAM Terrace. In efforts to celebrate the end of the semester, Miami Art Week, and The Roar’s 30th Anniversary, we will be conducting giveaways to Art Basel and III Points Music Festival. To enter the giveaways, students must participate in an interactive sculpture inspired by Relational Undercurrents: Contemporary Art of the Caribbean Archipelago, an exhibition currently on view at the Frost. There will also be live performances by local bands and Roar DJs. What do you wish other people knew about your job (or something people get wrong about your work)? Well, I don’t just give tours! I spend most of my time researching exhibitions and creating study material for all staff and gallery guides. I also coordinate tours with FIU, as well as school and community groups. I also have been tasked with leading our Gallery Guide Program, an internship open to students of all majors. Collectively, we study current and incoming exhibitions, conduct tours, and plan student programming. What makes the Frost unique? Unlike most other museums and galleries in Miami, the Frost is located on a university campus. At times, the Frost is a student’s first experience of an art museum. The museum exhibits work from around the globe, as well as from different time periods. How do your identities shape your work? Although I love art history and museum work, my ultimate career goal is to record and perform music as an independent artist. I would say that music is a defining feature of my identity and this has helped shape my work at the Frost. I view the act of giving tours, almost like a performance! This also comes into mind when thinking of programming collaborations and opportunities with university and community initiatives. In addition, I am a recent FIU graduate with a Hispanic background – it is easy to relate to the FIU community! Being a young woman in the arts, it’s rough out here – but the Frost encourages forward-thinking and creativity that goes against any limitations that may have been placed by society. I’m so thrilled that Fereshteh Toosi took the time to answer some questions for this blog. For those of you who do not know her, Fereshteh is a local Miami artist and a member of the FIU faculty. She joined the art faculty here at FIU in 2017. Since moving to Miami, Professor Toosi has been active embedding herself in the local arts scene. 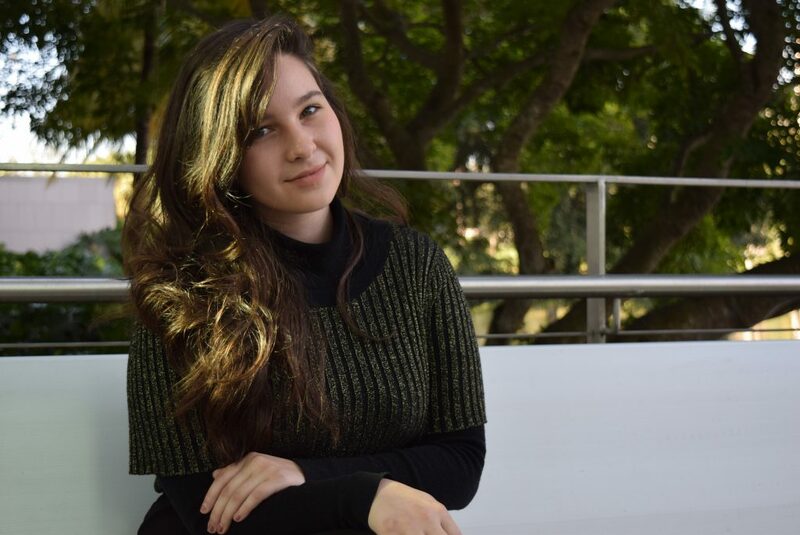 Most recently she has won a prestigious “Ellie” award – she is the recipient of the 2018 Creator Award. She has also published in the Miami Herald and participated in O, Miami’s poetry month. 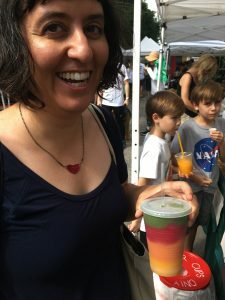 She runs the Nature Connection Arts Lab where she designs contemplative, sensory outdoor experiences (that you can join her on)! I urge you to check out her work on her website. I believe her work would be of special interest to folks interested in environmental ethics, or the relationship between art and environmental activism. As a child I liked planning birthday parties for my siblings, making dioramas, photocopying zines, and pressing perfume from roses. I cherished a book called Concoctions which I never returned to the library. It had recipes for things like toothpaste putty and invisible ink. I also took a lot of music lessons and dance classes and I was a yearbook editor in high school, which meant doing a lot of graphic design. All of this influenced the way I make art now, especially because my high school visual art classes were pretty narrow. Like a lot of places, the teacher focused on realistic representation and since that wasn’t my interest, I was unsure what role art would play in my future. I went to a pre-college art program at the art school in Portland Maine and I met students who introduced me to a creative world that was beyond my hometown, but I still wasn’t sure that there was a place for me as an artist. Because I didn’t grow up in a big city, I hadn’t been exposed to a lot of contemporary art in galleries and museums. In college, I learned more about the various ways contemporary artists work, and the fact that I was studying other subjects was really important too. During my senior year I finished my thesis show which was an installation in an empty swimming pool on campus and one of my professors encouraged me to apply for an exhibit at a gallery. Her vote of confidence bolstered me. After graduation I worked in Japan for a couple years and I continued to make art and music while I was there. When I came back to the States, I tried to get an office job to make money but it felt wrong. I started applying to MFA programs and being an artist is what I’ve been focusing on ever since. 2. What art projects are you working on now? I run an initiative called the Nature Connection Arts Lab which produces performances and media art to foster gratitude, respect, and a renewed commitment to our ecosystems. I guide occasional nature connection art walks in Miami. If you want to join one you can follow the Lab on Instagram or Facebook for announcements. My Water Radio project is a series of participatory performances during kayak outings along Miami’s canals. Participants travel, share stories, listen, and respond to the sounds of nature underwater. I think about Timothy Morton’s book Ecology without Nature a lot. But I still use the term nature because it serves as a useful shortcut for people understand that my current work is about how humans can cultivate stronger social relationships with other species and with Earth. It’s mostly about affective experience, but being informed about science is part of it too. I want my work to contribute to the political resistance against ecological crisis. 3. How do your identities shape your work? Our identities shape everything we do. In my art work, my identities inform the work even if an audience doesn’t notice it expressed in a straightforward way. Art shifts people’s perceptions. As someone whose identities are misunderstood or marginalized, I think about perception all the time. Some of my projects are more directly about my identity as a first-generation American, an immigrant from Iran. But those aren’t my only identities. People have certain expectations of the kind of art someone like me is supposed to be making, and it’s limiting. Everyday I do the quotidian work of being me, of holding my multiple identities, of juggling all my differences. The way I am perceived by others and how I navigate interiority and exteriority is always in the background of everything I do. 4. How does philosophy connect with your art work? My first meaningful encounters with philosophy were in an English class in college, which focused on analyzing literature through critical theory that was largely informed by continental philosophy. The same texts are really important for contemporary art too. The most significant concept is probably the critique of representation. As artists we act as mediators between people and objects, or people and experiences, and we need to understand how to do that in context. If we don’t know philosophy, our art and media literacy is impoverished. I never took any philosophy classes, I was just thrown into some advanced texts. But with time and patience, I was able to connect and I fell in love with philosophy. There are huge gaps in my philosophical knowledge. But that’s ok because it means I get to explore and be exposed to new ideas. We are meant to be in conversation and dialogue with philosophical writing. Philosophy constructs worlds and metaphors and experiments that are very similar to the methods of art. Philosophy is a really important tool for artists who want to make smart work that engages with issues and aesthetics in a critical way. It helps artists to identify and communicate the significance of our work to ourselves and to our audiences. I find it very inspiring as I consider the intentions and outcomes of my own work. It’s also part of analyzing other people’s art work. 5. What art do you recommend in Miami right now? The Perez Art Museum has a video piece by Arthur Jafa called Love is the Message, the Message is Death. It’s here until April, don’t sleep on it!